Prayer at home, at church, on the great feasts of the year, and in the rhythm of our daily routine must be a greater priority than anything else: money, homework, work, sports, hobbies, exercise, socializing, and the rest of our competing habits. Parents sigh with a mixture of relief and sadness as they see the kids off to the first day of school. High-schoolers part ways with their younger peers after a summer of fun. College students head back to their studies. Those employed outside the home return from work to help with their children’s homework rather than watching the kids play outside until dark. The nights are cooler, and many begin the process of settling into a routine that will last until spring. Human beings are creatures of routine and habit. Good or bad, spiritual and material, it’s routine habits that either raise us up or tear us down. Whether speaking of a rule of prayer or an addiction, that cup of coffee in the morning or attending Wednesday vespers, the underlying truth remains: humans are liturgical beings. In a sense, mankind was brought into existence to do the same thing over and over again, for eternity: to know and worship God, to live in communion with others and creation, and to form families through which new humans come into existence and experience the same fulfilling life. True being, satisfaction, love, joy, and peace all flow from a life of worship and communion. Therefore, the establishment and practice of regular worship—daily, weekly, annually, and both privately and corporately—is essential for authentic human existence and experience. “As Orthodox, when we speak about a liturgical life, we don’t mean our short liturgical offering in the church, but the whole of our life, which, starting with the liturgical actions in the church, becomes one of continuous liturgy and worship” (Abbot George Kapsanis, Gregoriou Monastery, Mt. 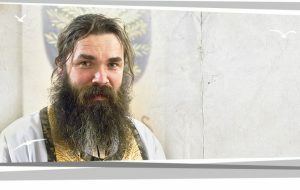 Athos; + June 8, 2014). Prayer at home, at church, on the great feasts of the year, and in the rhythm of our daily routine must be a greater priority than anything else: money, homework, work, sports, hobbies, exercise, socializing, and the rest of our competing habits. 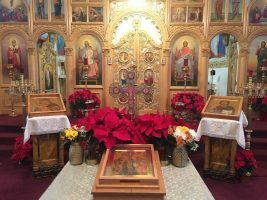 “Orthodox Christians can’t be Orthodox unless they live liturgically. Unless the Divine Liturgy and worship are not merely ‘opportunities’ or part of their timetable, but are, instead, the life-giving shoot grafted on to their lives and transforming them, the center, the basis, the beginning and the end” (Abbot George). Now in order to enter into private and corporate prayer, one must enter into both experience and understanding. We pray and go to church to experience an authentic liturgical manner of existence. But we must also go home and study the same. It is this alternation between experience and understanding that propels us into the liturgy of life, or better said, liturgy as life. If we are not experiencing anything attractive in prayer and services, it is usually our own fault. 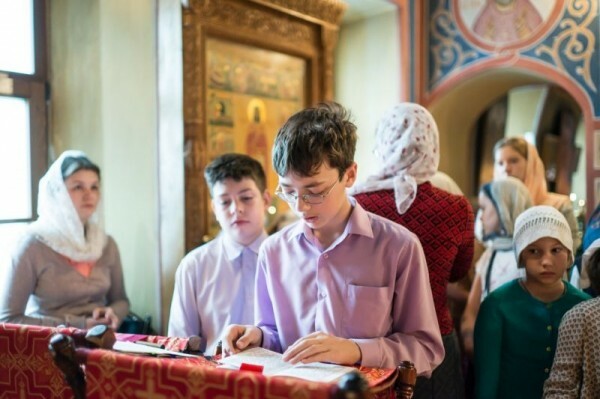 Regarding children, Father Alexander Schmemann encourages us, saying, “As a general rule, children like to be in church, and this instinctive attraction to and interest in church services is the foundation on which we must build their religious education. When parents worry that the children will get tired because services are long, they usually subconsciously express concern not for their children, but for themselves” (Liturgy and Life). So this fall, take the time to meet, discuss, contemplate, study, take advice, and make a commitment to authentic human life through private prayer and corporate worship. Pray at home every day. When, where, and for how long are details to be worked out over time. But let’s get ourselves to the place of asking, “Did I pray today?” And answering, “Yes!” Commit to being at church every Saturday night and Sunday morning. Then commit to a service during the week and all the major feasts as well. Let us sacrifice the competing priorities that keep us from prayer and submit to the reality that without God life is meaningless. And without prayer, we do not know God.